“Video art” sounds lame, I know, but this is pretty fun. The artist is David Szlasa. Gosh, the commentary by these dumb newscasters gets better and better every time I hear it. 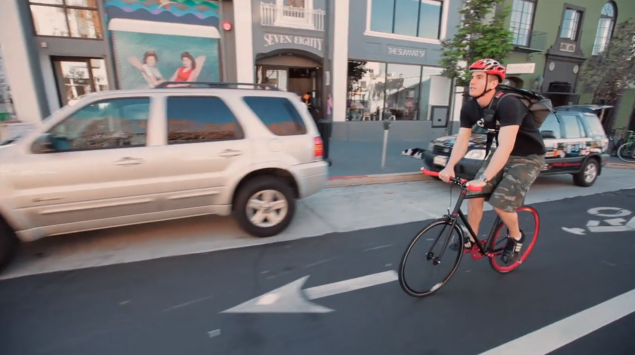 Our pals at Mission Bicycle have a new promo video done by 4SP Films, the same guys that did the Tartine Bread one a while ago. It looks great and has nice shots of the ‘hood. They were pretty awesome to work with but they wanted to crop out a bit where a dog is taking a leak in and otherwise beautiful shot. I said NO WAY. It’s one of my favorite bits. Gotta look close though, it’s just a quick flash. 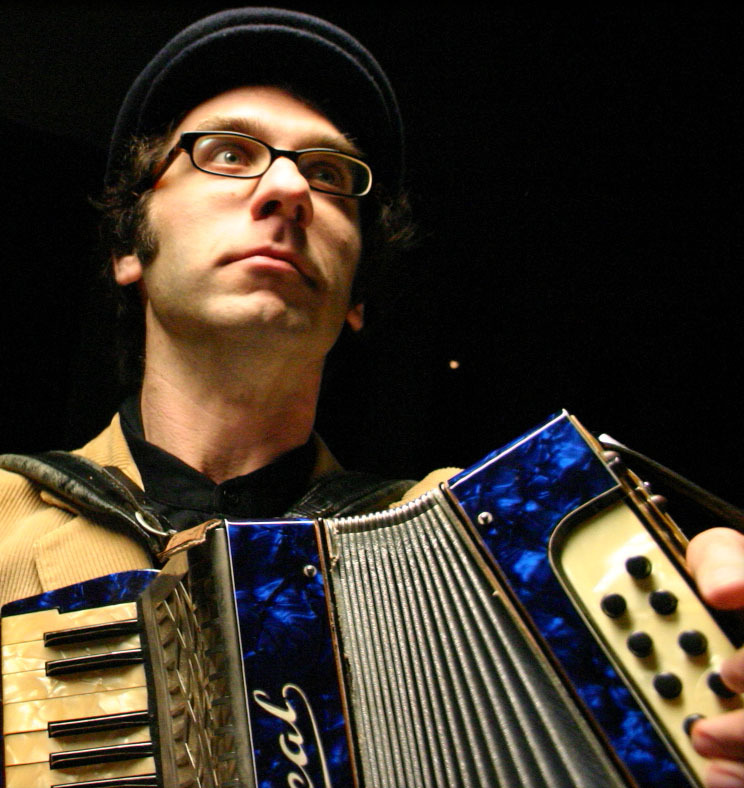 If you’ve ever seen Rob Reich play accordion with Gaucho at Amnesia on Wednesdays or 1st and 3rd Thursdays at Tartine Bakery, you are well aware of his genius. He’s a brilliant improviser with an impeccable human-jukebox ear. Call out any tune to the guy, seriously. Overworld theme to Super Mario Bros. 2? No problem. Jump by Van Halen? Easy. Not only that, he’ll work it into a solo later in the night just to make you feel special. He’s so good that he’s been muralized in front of Amnesia. Rob also composes the best original circus music you’ve ever heard for local troupe Circus Bella. After 3 years of performing his compositions at their live events he’s hoping to raise the funds to record a record with the Circus Bella All Star Band, which includes a bunch of amazing local musicians you’ve probably seen around. If you enjoy the music, consider donating to his kickstarter campaign. If you donate $10 you get a digital copy of the record. If you donate $250, hold on to your slide whistle, because you get to be on the record! Here’s the kickstarter page, which contains a cool video of Rob describing the project. Hey I know you don’t have a TV anymore, but you should find one to use tonight, because we got a homegirl competing on American Idol this evening. Emily Anne Reed is a local jazz, country, and blues singer who performs regularly at places like Amnesia, the Rite Spot, and Revolution Cafe. If the scene above looks familiar, it’s because it took place at the Mission apartment building on 16th that burned down on August 14th. She lived there. Will this be exploited by the producers and paired with solemn solo piano music for full dramatic effect? Maaaybe. 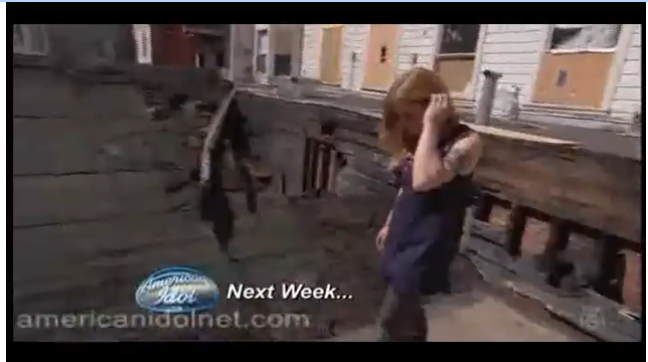 Here’s her audition from last night. MrEricSir posted these videos about Swan, AKA the Pigeon Whisperer, who we mentioned a few of days ago. The documentary was directed by one of his best friends and ex-coworkers of 30 years. Turns out Swan’s real name is John Ratliff. 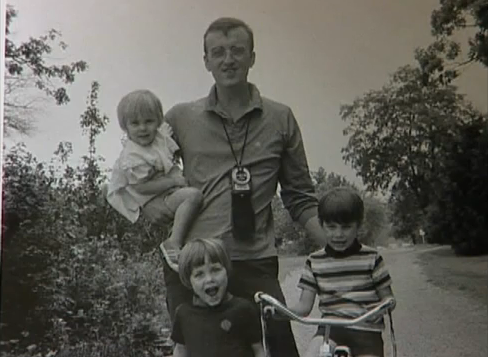 He was once a gifted television news reporter and father of four until schizophrenia overtook his life and moved him into the streets, where he has rejected any help from his family and friends. It’s really an amazing and tragic story that you should set aside some time to watch today. You’ve seen Portlandia by now right? If not, I think you’d better watch all of their web clips right now. Say, someone should pitch a sketch to Portlandia showing people posting on a blog about how they are surprised you haven’t heard of it yet. Author Vic WongPosted on February 1, 2011 Categories Cycling, Humor, VideoTags Portlandia5 Comments on Agh! Cars, Man, WHY?! Does Anyone Know Tim Allen? Buy the book here. And do visit the Tim Allen Blurb This Book Facebook Group, if at the very least just for the badass Tim Allen video I posted a little while ago. Author Allan HoughPosted on January 31, 2011 Categories Video1 Comment on Does Anyone Know Tim Allen? The Face of Ms. Muni Voice Revealed! I’ll Flip You. Flip You For Real. San Francisco, Cafe… on Café Gratitude Is a Cult? UFOs spotted in Bay… on UFOs over the Mission?